I can still see John in his old gray and black West Point bathrobe from his days as a cadet, grabbing his first cup of coffee and eagerly preparing to head upstairs to work on his memoir. He had bought an electric typewriter and he spent the time on disability until his death chronicling his life. Although the year was 1992 and “writing as a way of healing” had barely made a blip on the radar screen of life writing and sharing memoirs as a way to enlighten each other, that’s exactly what John was doing. Writing his memoir offered the healing he had long sought from his life’s greatest challenge, disappointment and crucible – graduating West Point but not being commissioned as an officer due to illness. He also wanted to write about his battle with cancer. Twenty years later I would incorporate his story and our love story into my/“our” novel A Portrait of Love and Honor. People tend to write about the lives of other people, but often as merely a collection of events. As for themselves, self-discovery presents even a greater challenge than merely chronicling events on a timeline. I don’t believe John understood that as the son of an Italian immigrant mother, he wanted to attend West Point to achieve the American Dream, not just for her, but to feel special. But even he saw years later that West Point had been a disastrous "fit" for a man of his inquiring, sensitive and discerning mind. And that realization, in itself, was healing. 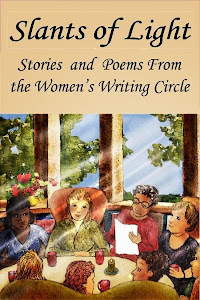 When I wrote my own memoirs, I felt intent on writing the story of John and me, and later, about striking out on my own as a single mother and widow. Perhaps I was too caught up in those books being “page turners” and not enough centered on a reflection of the inner life. I had bought into the notion that a memoir needs to read like a novel. 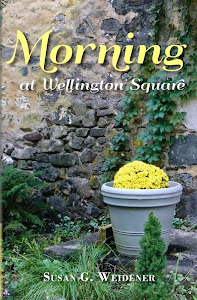 A certain lack of exploration of Susan Weidener both in Again in a Heartbeat and Morning at Wellington Square came at the price of storytelling. One of the great revelations in writing his memoir, John often told me, was coming to the realization that his true happiness had been found in me, his wife, and our sons, Alex and Daniel. It had not been his career, either as a teacher or computer analyst, nor even being able to say he had been commissioned as an officer in the US Army, which, of course, he wasn’t. All the rest seemed to pale in comparison to our home life and the path it offered to peace of mind – until, of course, cancer struck. In that regard, John was a truly unlucky man. 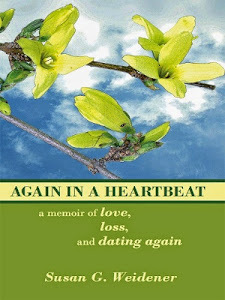 Just as he began to hit his stride as a father and a husband, the disease struck him down. The greatest reward that memoir writing may offer is that journey into the very depths of who we are, our longings, our desires, our dreams, as well as a study of those who have most influenced our lives. Where John struggled, I believe, and where many memoir writers struggle, is understanding the underpinnings of that – why that dream, why that narrative? Although I truly believe if he had lived longer than his forty-seven years, John would have discovered the answers. 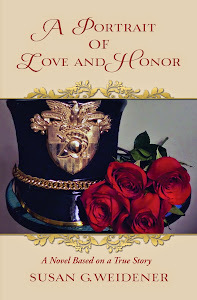 John was a soldier and A Portrait of Love and Honor is one soldier’s story, no more, no less. An accomplished writer, former instructor in English with a master’s degree in English from Villanova University, John (whose pen name was Jay Scioli and the name of the main character in the novel) already had many of the necessary tools to write his memoir. His story in A Portrait of Love and Honor is a healing journey that guides us all to ask deeper questions about our own truth as memoir writers. If you've been writing your memoir, what discoveries do you feel compelled to explore?